To reserve your spot in Season 4 of Seed Club, click on the above image, add the August Seed Packet to your cart, and follow the steps to check out. Prepaying for August will guarantee your exclusive Seed Packets for the remaining season. If you prefer not to sign up via the web, you can always sign up in-store as well! What IS Seed Club, anyway?? 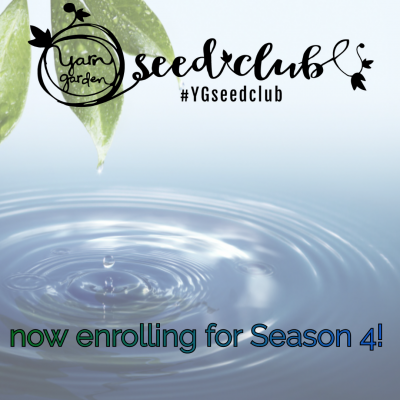 Seed Club is YG’s monthly yarn club, with Season 4 starting in August and running for nine months. Every month I curate a Seed Packet containing a unique skein of yarn, pattern instructions, and a little something extra, along with several additional pattern ideas. This season I have invited nine dyers to be inspired by the theme of “water”. Water is crucial for the growth of all things, but especially things in a garden! I have already been working with several dyers on their colorways, and I am thrilled with the creativity these artists have come up with. And if you thought the Club couldn’t get any more fun… I’ll also be hosting a Seed Starter Party on the first Saturday of every month! Join your fellow members in the Garden as we begin our new projects, and maybe learn a new trick or two. The monthly cost for your Seed Packet will be $40. 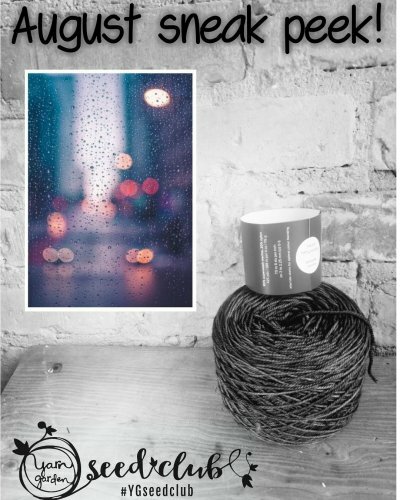 They'll be available for pick up beginning on the 1st of every month, and exclusive only to you! After the 10th of the month, all remaining seed packets will be shipped via USPS for an additional $5. Not local? No problem! I will ship out kits on the first business day after the 1st.